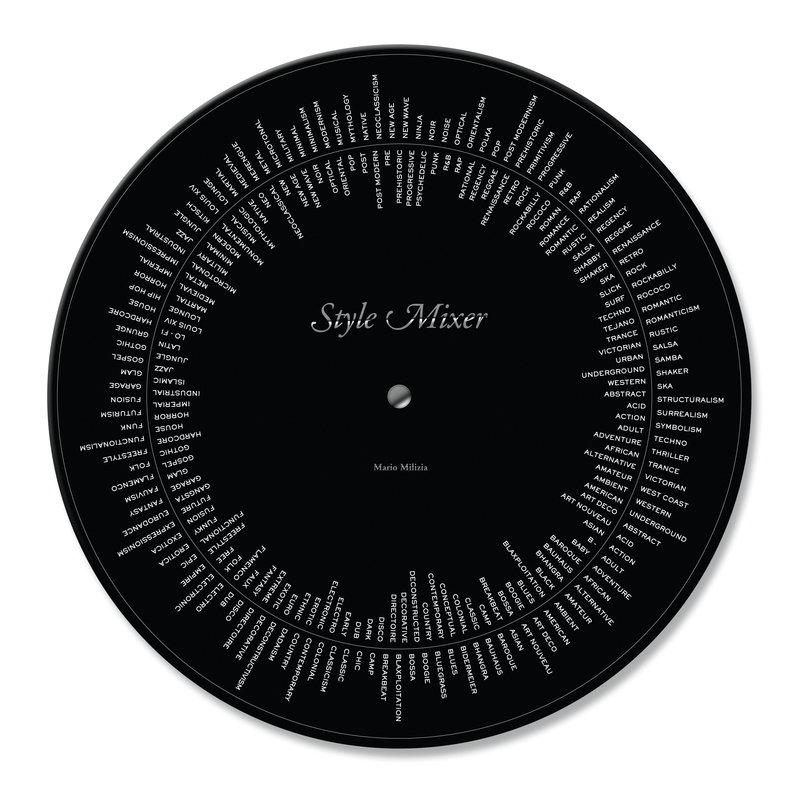 I’ve written about the Style Mixer before, but I had a moment of blind panic earlier this morning and couldn’t remember its name, so I’m writing about it again for prosperity. If you’re an artist, designer or just someone who lacks inspiration in your day to day life, Mario Milizia‘s wheel of fortune is the toy for you. Amazing! All of them! I feel like doing something already. You can play with it online here or print out and make your own with this full-size template. It’s just a fun little doodad that I like to amuse myself with now and then, good for getting a bit of inspiration, like. I might throw a Style Mixer costume party, how about that?